A lot of people talk about the Zambezi as if it’s a dream location that they’d love to visit but just never quite make it out there. This has been puzzling us here at thezambezi.com, it’s easy to get here, the water is reliable, the weather is awesome, the beer is cheap, and there’s so much fun to be had! So make this year your year to get out on the Zam and see what all the fuss is about. Cheap flights to Lusaka are easy to find through airlines such as Kenyan airways (who are great with taking boats on), Ethiopian air, British airways and Air france. It’s then easy to get a bus link with Mazhandu Family Buses straight through to the centre of Livingstone, only a stones throw away from JollyBoys backpackers. An alternate route to get there is via South Africa, connecting flights to Livingstone from Johannesburg are easiest to get with a South African airline, 1time, dodgy name, but great service! There’s plenty of nice spots to stay once you’re there, our favourite places are Jollyboys backpackers and Fawlty Towers which are both right in town at the epicenter of all the apres-boating action! We’re the only company who run kayaking trips from Livingstone, and our great guides are available to get on the water with you for your first day or two to show you the best lines, features and moves to make so that you can make the most out of your stay. It is possible to do the Zambezi on your own, catching taxi’s to and from the river, but if you want to sort out your trip out so that it runs smoothly from day one we can sort out shuttles, park fees, porters, lunch as well as that all important cold beer at the end of the day. We’re also able to help out with gear hire, accommodation, other activities, or just some advice whilst you’re planning your trip. So now there’s really no excuse to get out onto the Zambezi, this is the time for action! 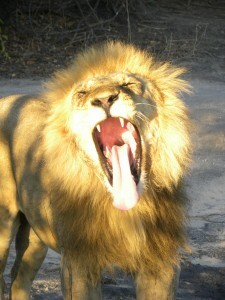 Scream if you love the Zambezi!! Just How Hard Is The Zambezi? The Zambezi River has plenty of myths associated with it. Most of the stories have been spread by over zealous river guides and paddlers! The reality of the Zambezi, is that it is a BIG Grade 3+ river. Lines tend to be straight forward and the rapids that are more challenging, can easily be portaged. Paddlers should have a competent roll (preferably on both sides) With almost all of our trips and logistics, we suggest a practise paddling day from Rapid 10 Rapid 25, which just helps you get to grips with the size of the rapids and the volume of the river. Most rapids on this section tend to be fairly short and sweet, but you’ll also get a chance to stop and surf at the infamous 12B which is ideal around mid September until early November as a general rule. 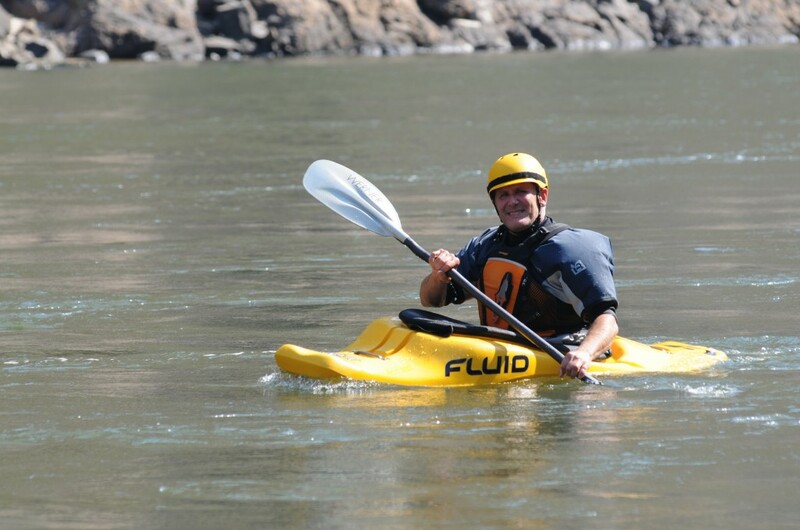 Awesome big water paddling in "The Mother"
Paddlers who regularly paddle the Zambezi will be fine starting at Rapid 1 and all rapids along the way, perhaps with the extension of Rapid 9 which is portaged by all rafting trips. It has become a rapid which is paddled regularly, but should not be underestimated! We have seen some pretty legendary kayakers get spanked here! For those of you wanting to sample a real Zambezi kayaking trip, seeing the rapids after the regular paddling section is a must. Upper Moemba, Open Season and the Narrows are classic rapids to paddle. Many paddlers have heard that logistics on the Zambezi are very complicated. Although different from the Nile in Uganda, they are just as easy. We have regular shuttles going to all the drop off and pick up points on a regular daily basis. We even get your boat carried into and out of the gorge, and give you lunch and a beer at the end of the day. Its easy and cheap to fly into Lusaka, where you can either get us to collect you (if you are a group) or catch a bus to Livingstone which leave on a daily basis. Accommodation is cheap and really comfy and the risk of malaria providing you take the correct precautions is really rare. 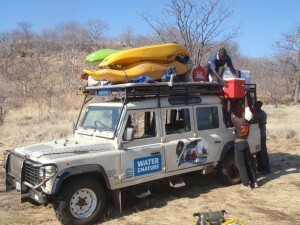 So come on, you are out of excuses, make 2010 the year for your Zambezi mission! 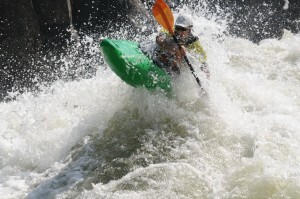 We will also hold a Zambezi Kayaking Festival in 2010. Keep checking our website! See you here!